Sound Healing is the intentional use of sound and music to support the natural healing energies of the “human instrument” to improve emotional, mental, physical and spiritual health and well-being. While many people are only just discovering it, one of a growing number of subtle-energy therapies that make up the field of vibrational medicine, Sound Healing, is actually a return to ancestral cultural practices that used chants and singing bowls to restore health and relieve pain and to attune to, invoke and transform consciousness. 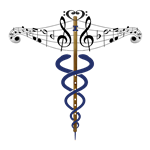 The healing power of sound and music have been used for healing and transformation since ancient times. Sound Healing works on the principle that we live in a vibratory universe where there is no such thing as matter. Everything we sense and feel and see and touch is pure energy, tiny, denser bits of energy which we call particles, vibrating according to the laws of creation. All matter, thoughts, feelings and actions have their own particular vibrational frequency that will set up resonance with every identical frequency. In other words, your thoughts are inseparably connected to the rest of the universe. Behind perceived reality is an incredible cosmic dance of interconnected energy fields. At heart we are all ONE energy. Sound Healing, based in both neurology and psychology, can relieve stress and lift the spirit, as music floods our brains with dopamine, important neurotransmitter in the brain, also the happy chemical, and at the same time releases oxytocin, a natural painkiller and hormone, that affects social bonding. One dictionary definition of healing is: To Make Sound. Let’s take this literally! Sound provides a focus to meditation, healing and ritual. Sounding is a tool that can help us shift frequencies from the low-frequency energies of guilt and fear, to higher vibrations of love, joy and peace. 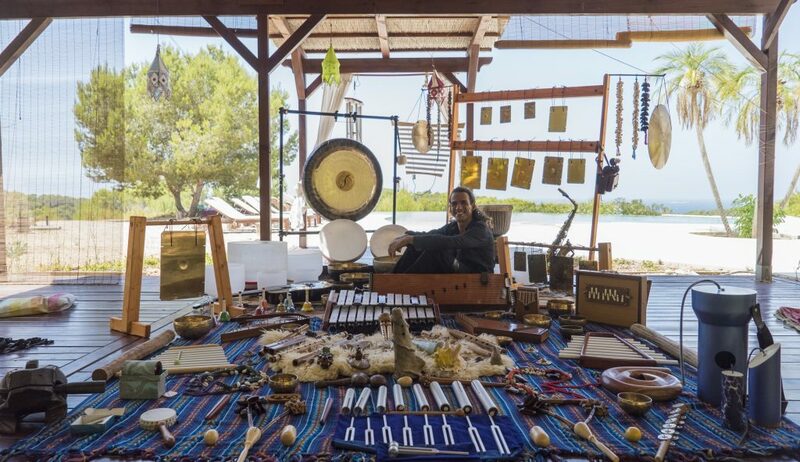 Deva will present healing sounds as a doorway to meditation, using 150 different instruments. Each session is designed to create an atmosphere in which you will become immersed in a sound-healing space, giving you the opportunity to experience the vibrations throughout the subtle layers of your body. This creates a deep state of relaxation and a clear harmonious sense of balance and wellness – in addition it will help you to discover “the art of listening” which brings you into the present moment, where self healing naturally happens. 40 wooden, bamboo & clay flutes, Saxophone, 3 shamanic drums, 35 Tibetan bell sets, 14 gong plate bells, 1 Earth gong 96 cm, 10 Crystal bowl set, 2 tambura, Japanese koto, 3 storm sounds, oceanic drum, 9 Solfeggio tuning forks, hand harp, mono chord, Shruti, 50 percussion instruments, 5 Ocarima, Guitar, Double xylophone, Djembe, Darbuka, Chinese Sound Stone, dream chime, big wind Chime, swinging Chime, 2 Wind Gongs , 8 Chakra Pulse Tubes, Pseltry, Kantele, Anantar, Tubulon, Didgeridoo.